There is a high demand for this category and a lack of unused numbers under the EB-2 annual limit. During the month of July, the final action date for EB-2 India will advance to July 22, 2008. Minimal advancement is expected to continue through the remainder of the fiscal year. Projection: In the best case scenario the final action date for this category will be September or October 2008 for this fiscal year. Per Oppenheim approximately 40% of available numbers are being used by beneficiaries who upgraded from EB-3 India. EB-2 China advanced to March 22, 2013 in the month of July, and will slowly progress throughout the remainder of the fiscal year. EB-3 China will retrogress to January 1, 2012 in the month of July, due to EB-3 downgrades. The final action date for EB-3 China Other Workers will remain at July 15, 2006. This date is expected to retrogress in the month of August. The final action date of January 1, 2012 for EB-3 China will remain through the end of the fiscal year, but advance to October 1, 2014, effective October 1, 2017. In the month of July, EB-3 Worldwide will advance to June 8, 2017, keeping this category effectively current. In the month of July, EB-3 India will advance to October 15, 2005, and should continue to advance. The final action date for EB-5 China will remain at June 8, 2014, in the month of July. Oppenheim expects this category to advance to by one week for August. In the month of July, the final action date for FB-4 Worldwide will be May 8, 2004. Projection: Oppenheim hopes to advance this category later in the fiscal year. Applicants are advised to promptly respond to “Agent of Choice” letters issued by the National Visa Center, to be scheduled for an interview. Currently, the response rate to these letters is less than 50% with only 35% of applicants providing all the information required for a visa interview to be scheduled. Charlie reminds members that it is important to promptly respond to an “Agent of Choice” letter. Failure to do so will result in delays. A final action date of August 15, 2015, will be imposed for EB-4 India in July. In October, EB-4 India is expected to return to current. A final action date for EB-4 will continue into FY 2018 for the other countries, though Mexico may have different date from El Salvador, Guatemala, and Honduras. 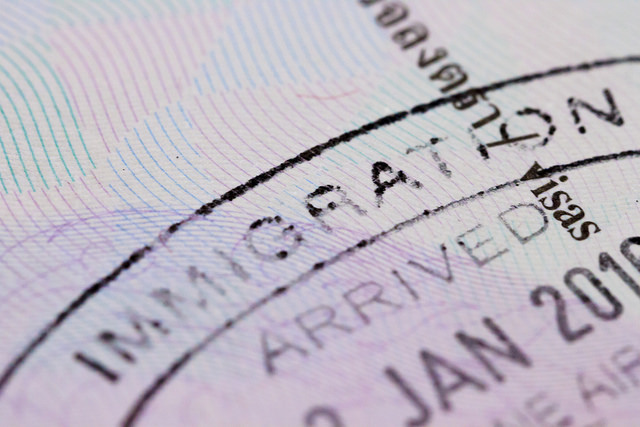 Please click here to see the July Visa Bulletin.